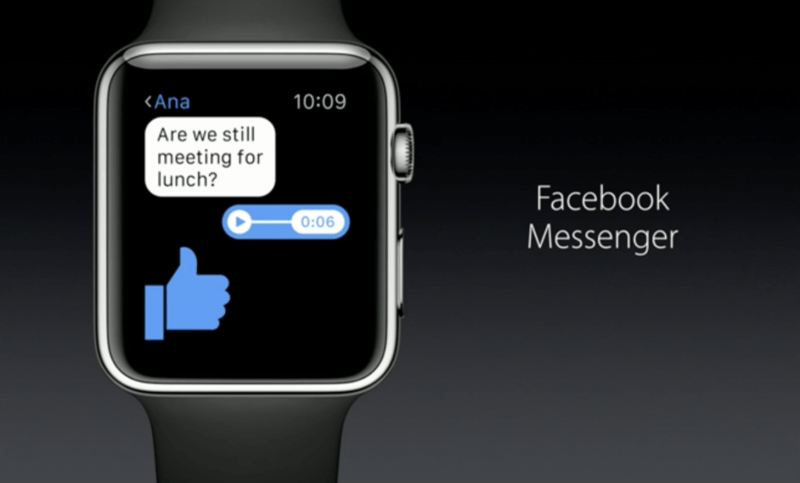 Facebook is bringing its highly-used messenger app to the Apple Watch. This application will allow you to send stickers, have conversations, and share your location with your friends. Announced at its “Hey Siri” event in San Francisco, Apple senior vice president of operations Jeff Williams revealed the news to coincide with the upcoming release of Watch OS 2. One of the things that you’ll be able to do with Messenger for Apple Watch is the addition of stickers — yes, those loveable images can be added to any conversation just with the tap of the wrist. This isn’t the first time Facebook has created a customized Messenger app for a wearable device. It’s also available on Android Wear. With more than 600 million monthly active users, Facebook Messenger is one of the top places to have a conversation. Making it available on a more devices clearly gives it more exposure and can make it perhaps a critical conversation tool for millions of people.